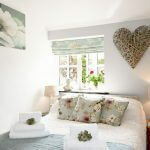 Luxury Cornwall Cottage,We have a few videos of Meadowview Cottage and its surroundings for you to watch. We hope that it will help to assure you that the facilities and holiday experience you will find here are second to none. Images speak louder than words, but in this case we are using videos to illustrate the benefits of renting Meadowview Cottage. 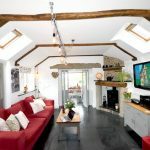 This luxury Cornwall cottage proudly wears a 5 star Gold award from Visit England in recognition of the superb quality of accommodation and cleanliness that you can expect as standard when staying at our cottage. Beyond these essential qualities Meadowview Cottage has so much more to offer in terms of its rural location only 10-15 minutes from the North Cornwall coast and moors. Activities in the area are endless: beaches, coastal footpaths, sailing, surfing, fishing, walking, cycling, golf, skateboarding, mountain biking, painting, photography…….. Here in Trelash you can enjoy the tranquility of rural Cornish life, where everything is done ‘dreckly’ (sometime later). Before you know it, you will have forgotten the noise of busy suburban roads, buses roaring past, trains whizzing by, overcrowded motorways…. Instead you will listening to the natural sounds of birds singing, sheep bleating, the odd tractor trundling along Cornish lanes, waves crashing, pebbles tumbled by the tide and children playing with laughter in the air. 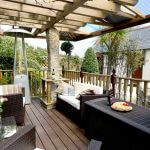 Debbie and Roger are delighted to be able invite you to share their luxury Cornwall cottage set in this little corner of Heaven here in Trelash, North Cornwall and look forward to welcoming you soon. For Prices and Availability or Contact Us please follow these links.